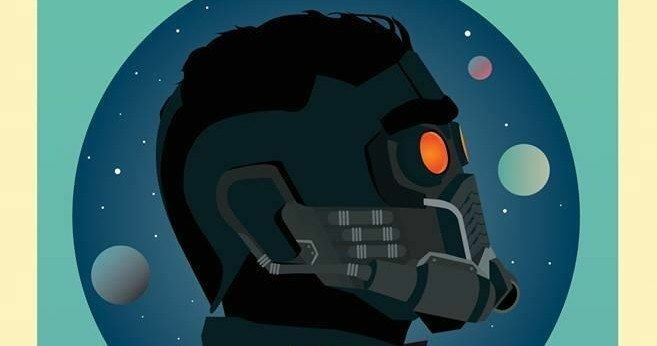 How much of Guardians of the Galaxy can you see before the movie hits theaters next month? Quite a bit, it turns out, as a fourth clip is released alongside a new poster created for Comic-Con 2014. In this latest scene from the upcoming Marvel Phase Two adventure, Star-Lord is tasked with calming down a disgruntled Drax, who desperately wants to kill Gamora. If they're all after Thanos, maybe that isn't such a good idea? It seems like sound reasoning. Watch as a truce is called, and then check out the latest poster for James Gunn's sci-fi epic. Take a look at the Guardians of the Galaxy poster created exclusively for Comic-Con 2014, which will be available on the convention floor over the weekend, if you're lucky enough to find it! Brash adventurer Peter Quill finds himself the object of an unrelenting bounty hunt after stealing a mysterious orb coveted by Ronan, a powerful villain with ambitions that threaten the entire universe. To evade the ever-persistent Ronan, Quill is forced into an uneasy truce with a quartet of disparate misfits-Rocket, a gun-toting raccoon, Groot, a tree-like humanoid, the deadly and enigmatic Gamora and the revenge-driven Drax the Destroyer. But when Peter discovers the true power of the orb and the menace it poses to the cosmos, he must do his best to rally his ragtag rivals for a last, desperate stand - with the galaxy's fate in the balance.